KIM LAWTON, correspondent: The historic town of Wittenberg, Germany is getting ready for a huge influx of visitors from around the world. The house where Martin Luther lived when he launched the Reformation is undergoing massive renovations. Special exhibitions and celebrations are scheduled throughout the year. Other tourist sites in what the Germans call “Luther Country” are also sprucing up and bringing in new Luther-related books and products. Here in the US, special events are already underway as well. Experts say this anniversary is indeed a big deal. 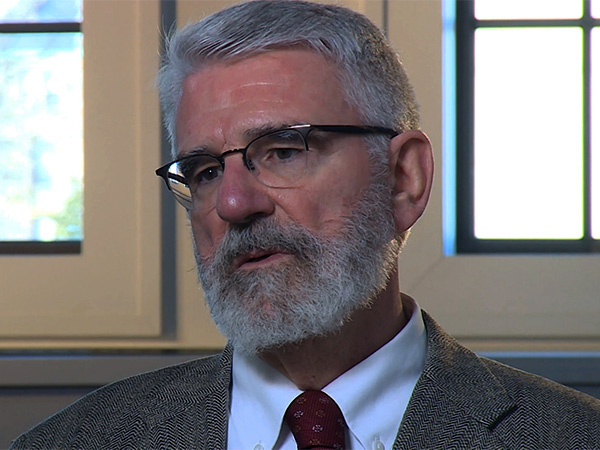 PROF. MICHAEL ROOT, The Catholic University of America: The Protestant Reformation is in many ways is the most significant event in Western Christian history. REV. 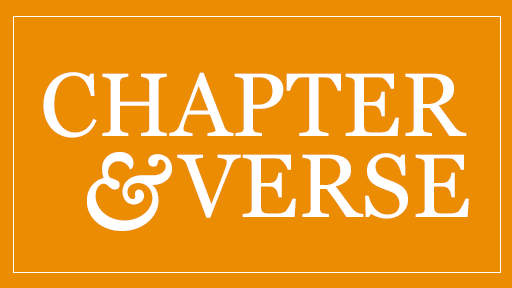 AMY BUTLER, The Riverside Church: It was like a point where the Church's story took a radical turn, and everything we are now is sort of the product of that moment in history. And it's also a mirror by which we reflect where we are now. LAWTON: The prolific--and often cantankerous--theologian Martin Luther is at the center of the celebrations. Luther was born in what is now Germany in 1483. His father sent him to the University of Erfurt to study law. The young Luther had many questions about God. At the age of 21, he defied his father’s plans and entered the Augustinian monastery, where he became a monk. 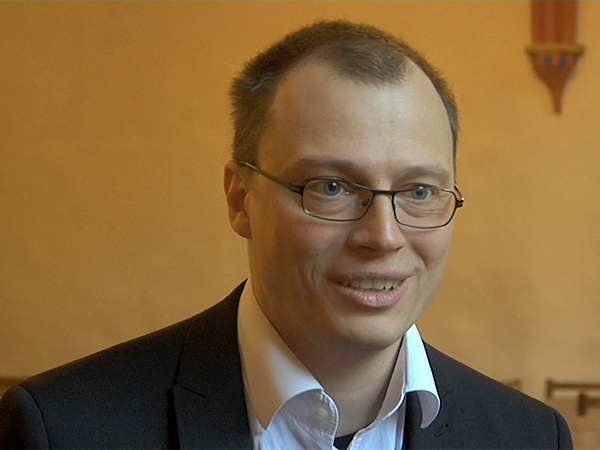 MATTHIAS GOSE, Augustinian Monastery: He was in his 20s and this was the time, the moment when he got first time in his life a complete Bible in his hands. And he could read, and now he had access to a book where he hoped to get answers for his life. 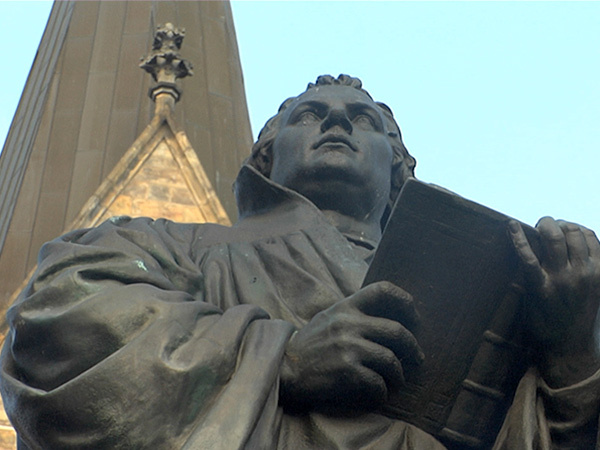 LAWTON: Luther was ordained a priest at St. Mary’s Cathedral in Erfurt and earned a doctorate in theology. He continued wrestling over questions about faith. 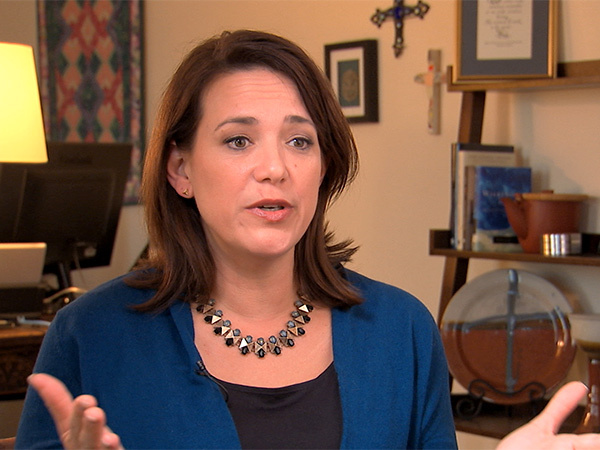 Reverend Amy Butler is senior minister at The Riverside Church, a prominent mainline Protestant church in New York City. BUTLER: He was grappling with the essential human question that all of us ask: Why do I feel guilty? Is God about rules or is God about love? What is grace? How does it manifest itself in my life? LAWTON: Through his Bible studies, Luther came to believe that people were justified, or made right, before God, not through good works or the sacraments, but solely through their faith and God’s grace. Luther embraced the idea that the Bible alone is the ultimate spiritual authority, not the pope or the church as he had been taught. In 1512, Luther was sent to teach at Wittenberg University. He became disturbed by reports that a Dominican friar was taking large payments for granting indulgences, or releases from punishment for sins. On October 31, 1517, Luther released a list of 95 theses, arguments against what he saw as this abuse of church practice. According to tradition, Luther nailed his theses on the door of Wittenberg’s Castle Church. There is no record of that, so some historians debate whether it really happened. At the time, it was common for scholars to post their debate points on the door where people could read them. MIRKO GUTJAHR, Luther Memorials Foundation: It was a simple act which wasn't worth to write down. So probably it happened but no one took notice at the time. And probably that's the best way to see that because it doesn't really make a difference in the history of the Reformation whether he nailed it or not. LAWTON: Copies of Luther’s theses and his fiery follow-up sermons were mass produced on a relatively new invention, the moveable type printing press. GUTJAHR: So this was the point where Martin Luther's ideas spread quite openly in Germany, and this was the point where he became kind of a superstar. ROOT: There had been complaints about the abuses for hundreds of years, and probably always will be to some degree. But the theological debates about the nature of salvation, the nature of faith and the Christian life, those proved to be much harder to resolve. LAWTON: Luther took refuge in the Wartburg Castle for ten months. There, he translated the New Testament into everyday German and also created church services in German, rather than Latin, so lay people could understand. Soon, Reformation ideas became a popular grassroots movement. In subsequent years, tensions between the Catholic Church and reformers escalated, often to the point of violence and outright war. ROOT: In France and Germany especially, you had really, what one theologian calls ‘theological road rage.’ The rules of war broke down and you had riots, people storming Protestant, or on the other side Catholic, houses and killing everyone inside. 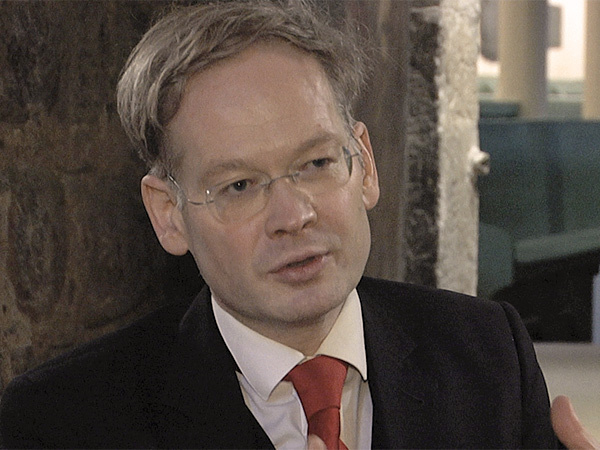 LAWTON: Protestant leaders today say the Reformation gave theological understandings that still define their tradition. Reverend Johannes Block is pastor of Wittenberg’s Evangelical City and Parish Church, where Luther preached more than 2,000 sermons. REV. 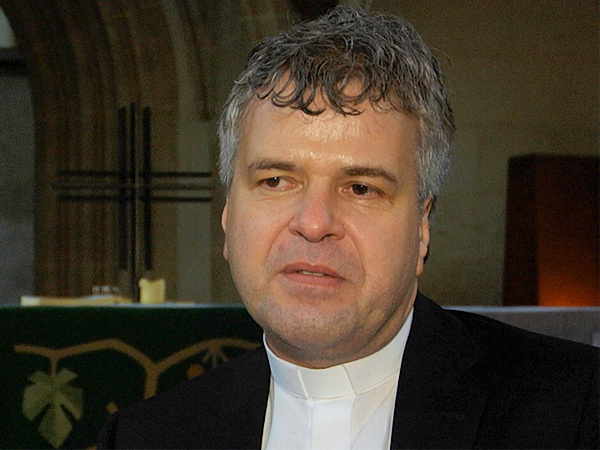 JOHANNES BLOCK, Evangelical City and Parish Church of St Mary’s: The Reformation said, you are responsible for yourself. Everybody is responsible for his faith. It’s a step of democracy. Everybody is equal in the church. BUTLER: I for example could not lead a church before the Reformation. And it took a long time to get here, but it was a shift like that that opened the church to different ways of understanding the expression of our faith. And that's very valuable for us as Christians. LAWTON: Luther may not have set out to create a schism, but the Reformation led to thousands of divisions. There are now nearly 45,000 Protestant denominations around the world, including mainline Protestants, Anglicans, Evangelicals, Pentecostals and more. In recent decades, relations between Protestants and Catholics have dramatically improved. That was vividly clear last fall when Pope Francis traveled to Sweden to help Protestant leaders launch commemorations of this Reformation anniversary. ROOT: Certainly 100 years ago, 50 years ago, it would have been unthinkable. Now, there was careful word choice here, the word was commemorate, not celebrate. The Catholic Church has carefully avoided talking about celebrating the Reformation. There has always been, in any kind of talk of a joint Catholic-Protestant commemoration, notions of repentance. Both sides have things to repent. LAWTON: Protestants and Catholics alike say they were moved by the Sweden meeting. REV. 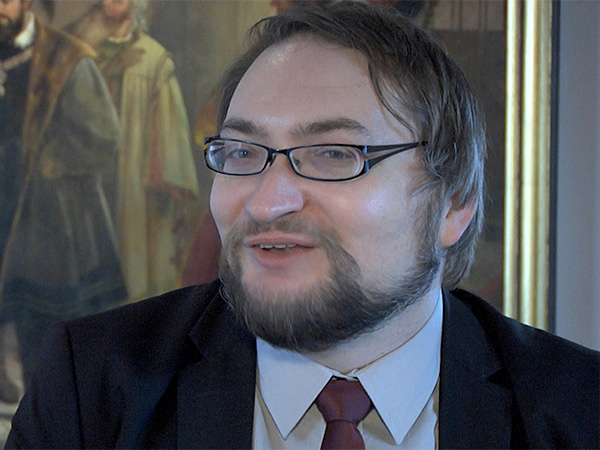 JOHANNES SPARSBROD: German Evangelical-Lutheran Church: For me, it touched me a lot because it’s the healing of memories. That’s also a main point why this anniversary is so important, we’re healing memories. BLOCK: We hope to celebrate the anniversary without hiding the problematic side or the dark side of Martin Luther. We see this problem and we talk about it and we are very open. But it’s only one side of Martin Luther. LAWTON: Many Christian leaders see this anniversary as an opportunity to continue asking questions about their faith. SPARSBROD: What was important for Martin Luther and what is important for us and our relationship to God today? And how important for us is the question of grace? ROOT: In the best of all possible worlds, and what I think Luther would want, would be talking about what is the Christian good news? What’s the gospel? That’s what Luther cared about. Push came to shove, Luther didn’t care very much about reforming structures. What he cared about,--he was a professor--he cared about getting the Christian message straight. BUTLER: What are the things that really, really are fundamental to our faith? And so I think that's going to be our work in the years ahead as Christianity works to become conversant with the culture around us. People are going to be increasingly asking what makes you different? What do you believe? Why do you believe it? What does it mean to be a Christian? LAWTON: And indeed, in Germany and around the world, many church leaders say this 500th anniversary of the Protestant Reformation is as much about the future as it is about the past. I’m Kim Lawton in Wittenberg. The year 2017 marks 500 years since a stubborn monk and towering thinker, Martin Luther, published his 95 theses or complaints against the Catholic Church and launched the Protestant Reformation, a momentous religious revolution whose consequences we still live with today. The Reformation divided the Western church and transformed millions of people’s understanding of their relationship with God. 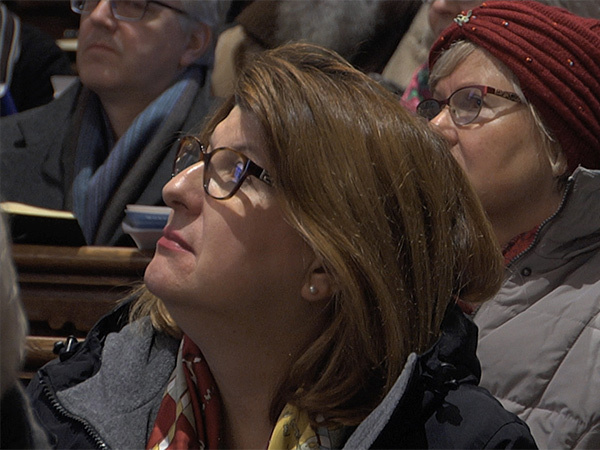 Correspondent Kim Lawton traveled to Germany to report on how the anniversary is being commemorated there and how its legacy is understood by scholars and theologians, both Catholic and Protestant.